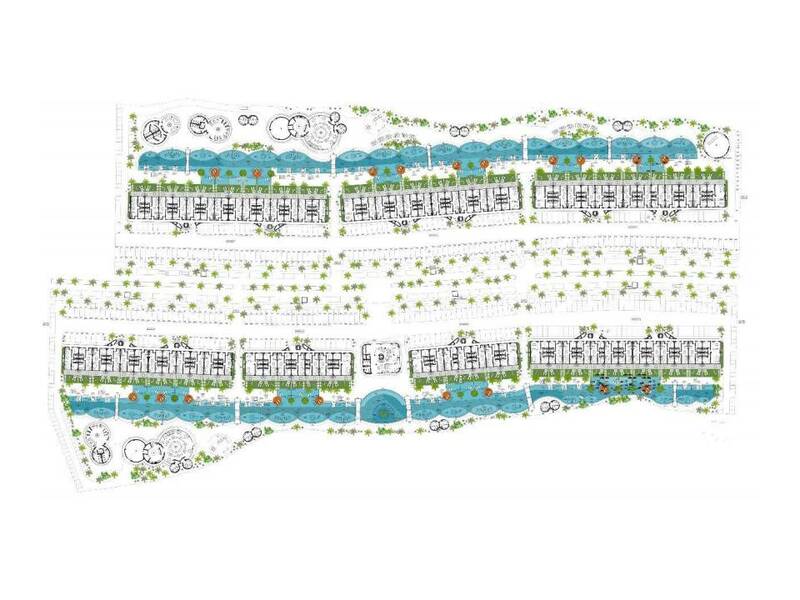 Located in the world famous Cana Bay complex is one of the real estate jewels of the Caribbean; we refer to the new project, the condos project that vindicates the successful legacy of its predecessor. 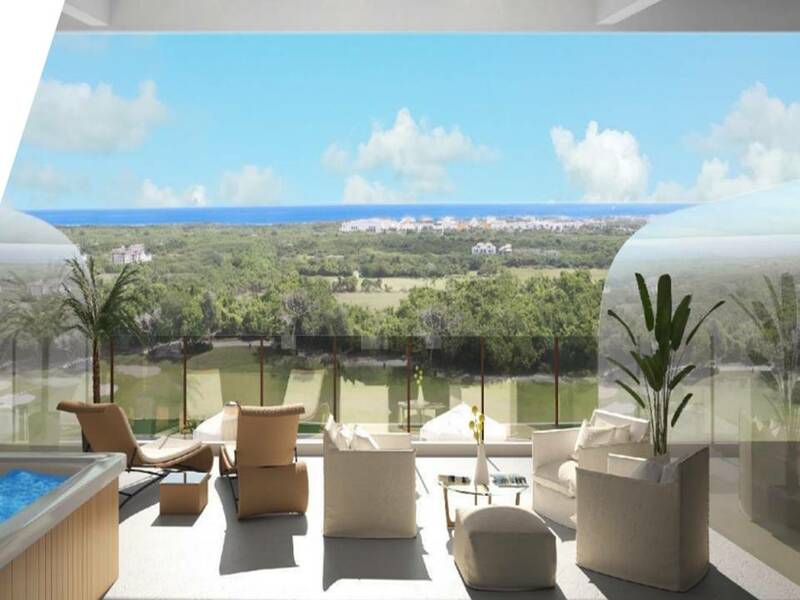 For its price, benefits and its proximity to the Hard Rock hotel and the most beautiful beaches of the eastern coast of the Dominican Republic, this project reinvents the infallible combination of beach and golf. 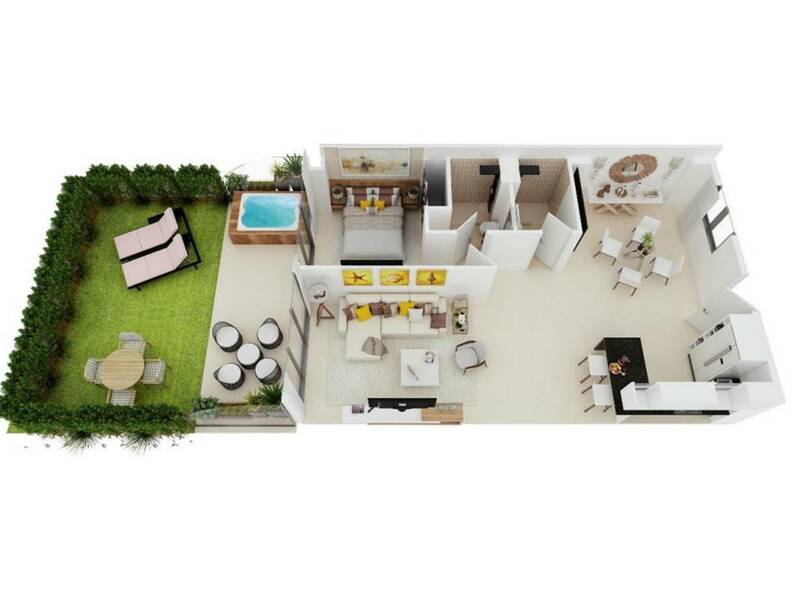 Starting from US $ 105,000.00 with 1 and 2 bedroom apartments with their respective bathrooms, these units have exclusive terraces or patios, exquisite design and distribution, fine finishes in floors and bathrooms, all-round pool, solarium, sun loungers, BBQ, playground, gym, lobby, concierge and the best views of the wonderful golf course “Hard Rock Golf Course”. 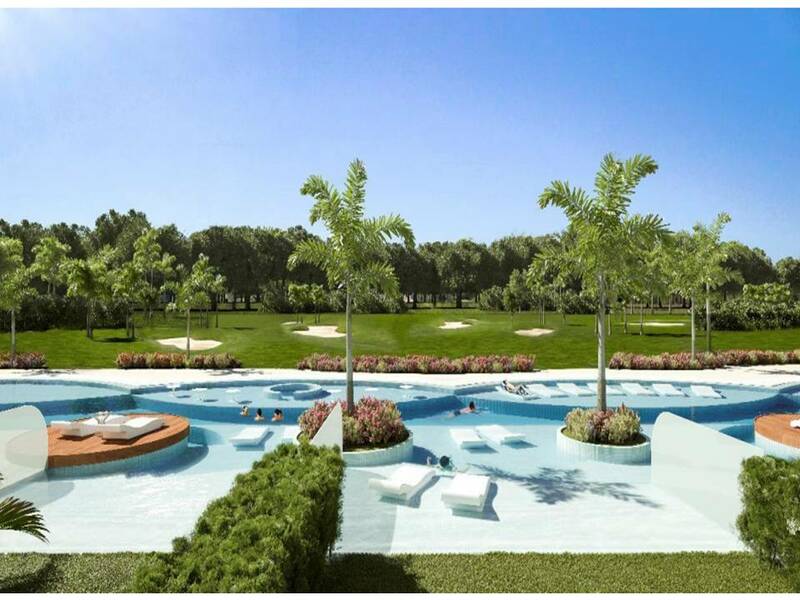 Bass Condo, which will be located on the first floor, and has two bedrooms, two bathrooms and a private garden, just a few steps from the pool and the Hard Rock golf course, distributed in a total of 116.11 m2. 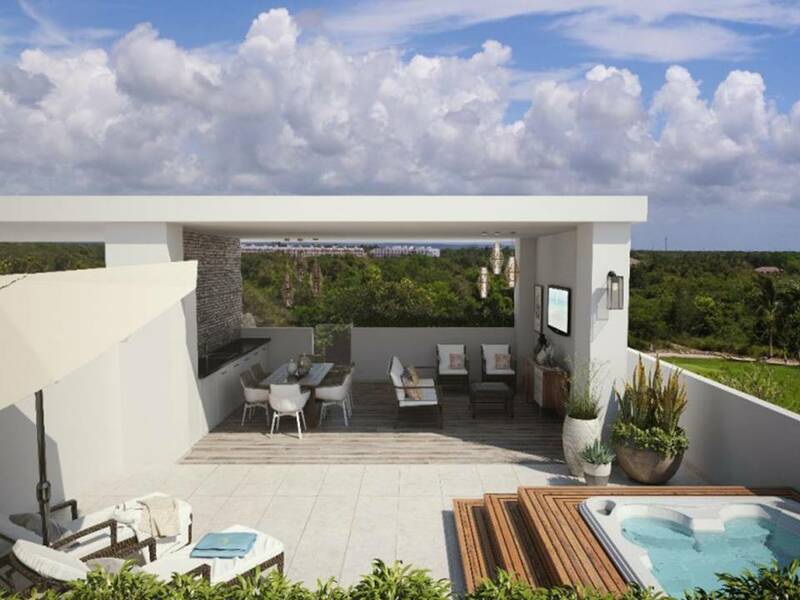 Drums Condo, which will be on the second floor, and has two bedrooms, two bathrooms and a balcony overlooking the pool and the Hard Rock golf course, distributed in a total of 99.11 m2. 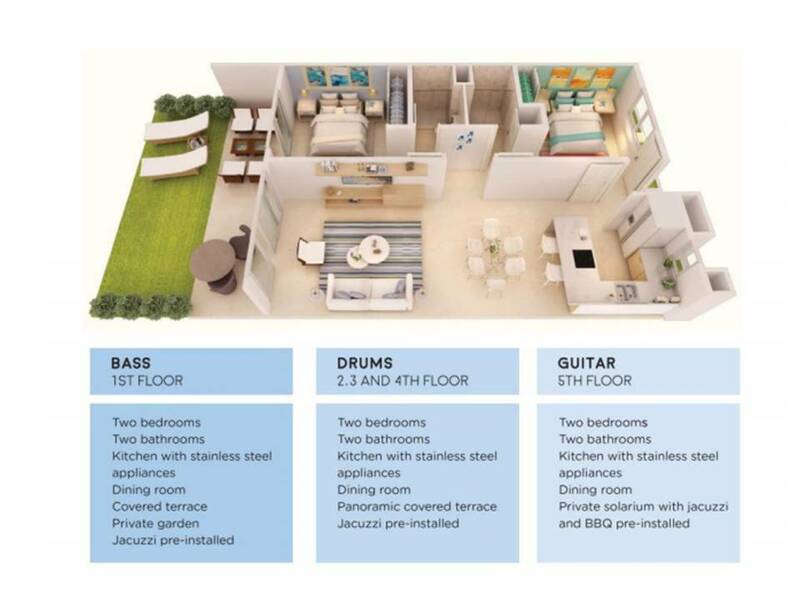 Guitar Condo, which will be on the third floor and penthouse; It will have two bedrooms, two bathrooms and a private terrace equipped with the pre-installation of barbecue area and Jacuzzi and overlooking the pool and the Hard Rock Golf Course, distributed in a total of 169.08 m2. 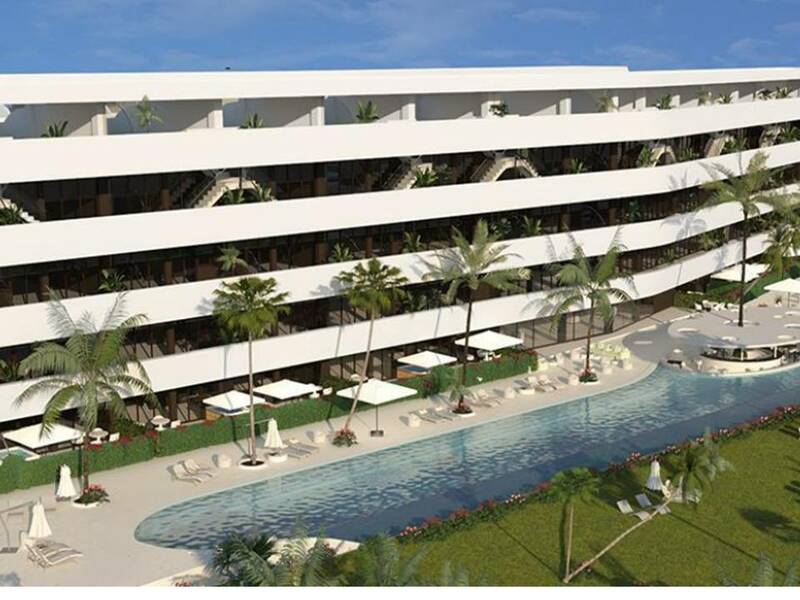 Cana project will feature a gym, 2 swimming pools, 2 bars, barbecue areas, children’s areas, mini-market, lobby, reception and Cana Bay beach club. In addition, owners can access discounts and preferential prices when playing golf and tennis; they also get a discount at the time of making their reservations at Hard Rock and the Riu hotels via Cana Bay (subject to availability and discretion of the Hard Rock). 6. 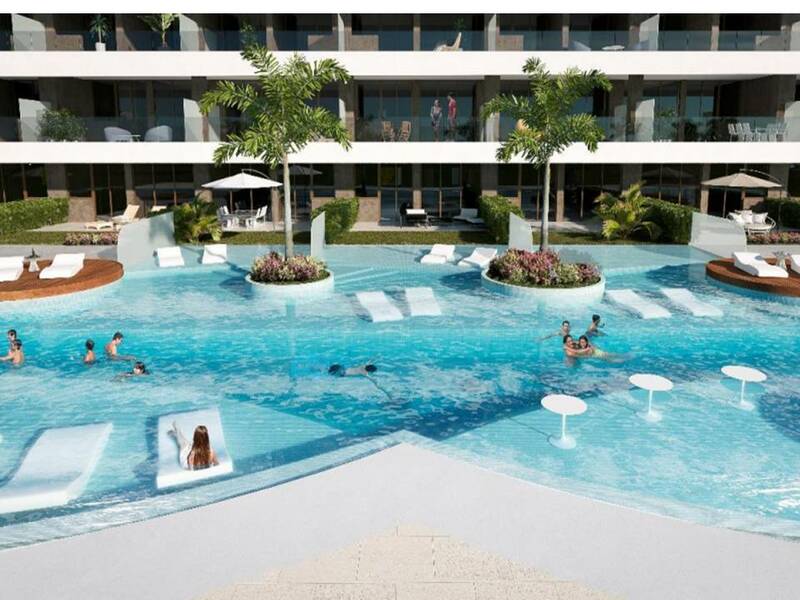 Racquet Club: The best paddle and tennis courts in Punta Cana where care has been taken to the smallest detail to achieve maximum well-being; make shuttle service from the condominium to the Beach Club.